I recently won a giveaway from CoolCanucks for a Kings Sized Set of 320 Count Bamboo Bedsheets from Sweet Dreams Bamboo. I couldn’t be more excited and could not wait to get them. We’ve been sleeping on our new bedsheets for almost a week now and I am in LOVE. They are so soft and have a “silky” feeling, I just melt into the bed. I’ve never slept so soundly before, I feel so relax. Now we just need to get a bamboo comforter and we’re set. The sheets came in a plastic case and wrapped with a nice ribbon that said “SweetDreamsBamboo”. It came with two pillow cases, a fitted sheet and a flat sheet. 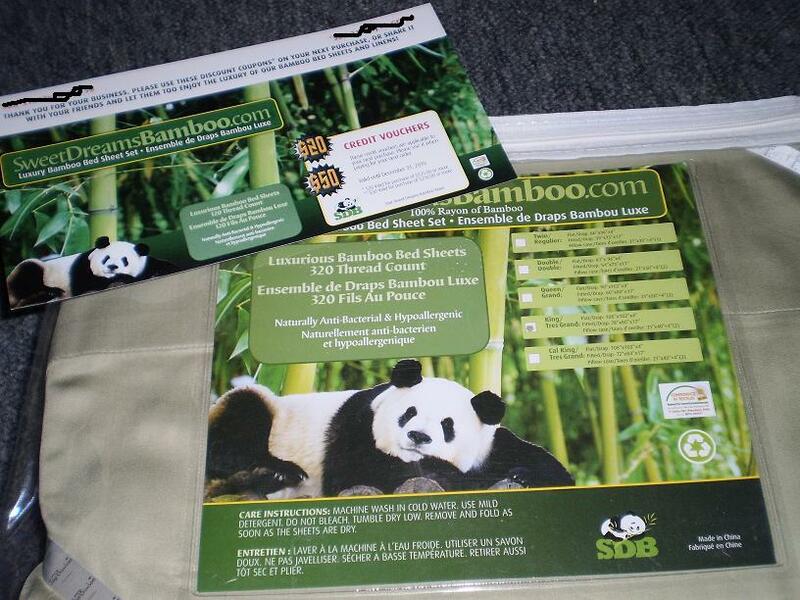 I love that Sweet Dreams Bamboo is in Canada. They are also eco-friendly, “Hypoallergenic and Antibacterial, Breathable and Absorbent, Eco-friendly, Organically Grown.” I also had the privileged of being in contact with their customer service and I was very pleased with them. I would soooo recommend everyone buying these sheets, if you want a good sleep they are for you. Thank you CoolCanucks and Sweet Dreams Bamboo. 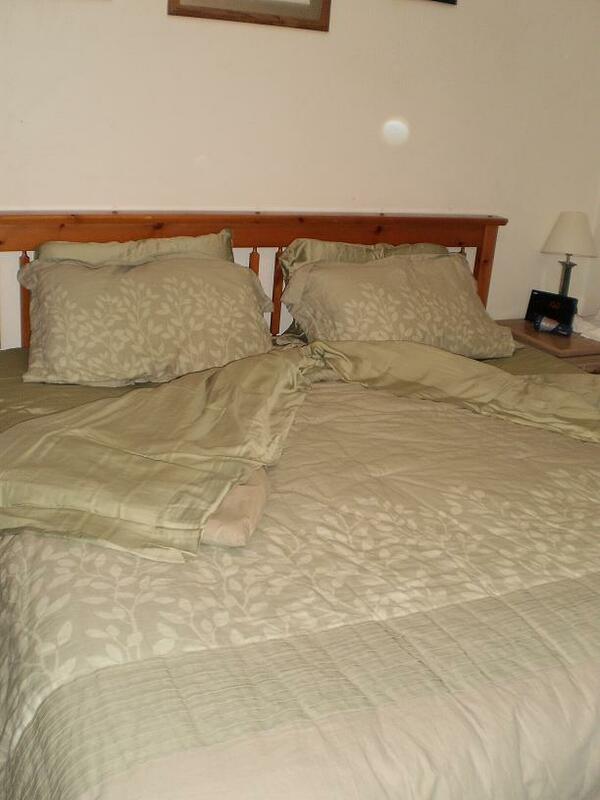 Our bed with the sheet and our comforted/pillow shams. * This post reflects my honest opinion and my experience may differ from yours. I was not compensated for posting this. I choose to post this because of my great experience.